Colorado is a global player for both the import and export of goods and services. Some of this business is drummed up by international trade missions. Gov. John Hickenlooper recently returned from India and is already hinting of possible partnership announcements at the start of 2018. Lawmakers examining state water issues are wrapping up their work ahead of next year’s legislative session. 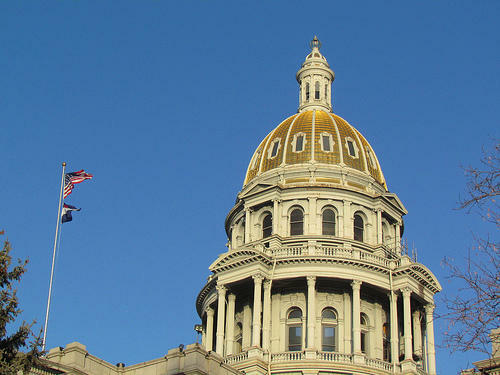 On Oct. 2, members of Colorado’s legislature are set to gather for a special session. Gov. John Hickenlooper has been clear on why he thinks a special legislative session is needed. Some tax revenues, he said, are not going to places like the Denver Zoo and museums because of a mistake in a bill he signed earlier this year. Friday was the last day for Gov. 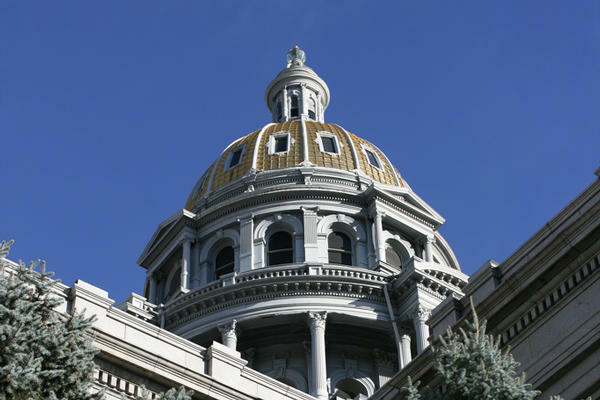 John Hickenlooper to sign, veto or let bills become law without his signature. He only vetoed two bills passed during the legislative session, and the final bill he signed was controversial. Colorado Governor John Hickenlooper is term limited and the race to succeed him in 2018 is already underway. Some big names have recently announced their campaigns and much earlier than usual. The moves could impact one of the biggest agenda items still facing lawmakers during this year’s legislative session – transportation funding. Ed Sealover, a reporter for The Denver Business Journal, and Peter Marcus with ColoradoPolitics.com, spoke to Bente Birkeland about the race. Gov. 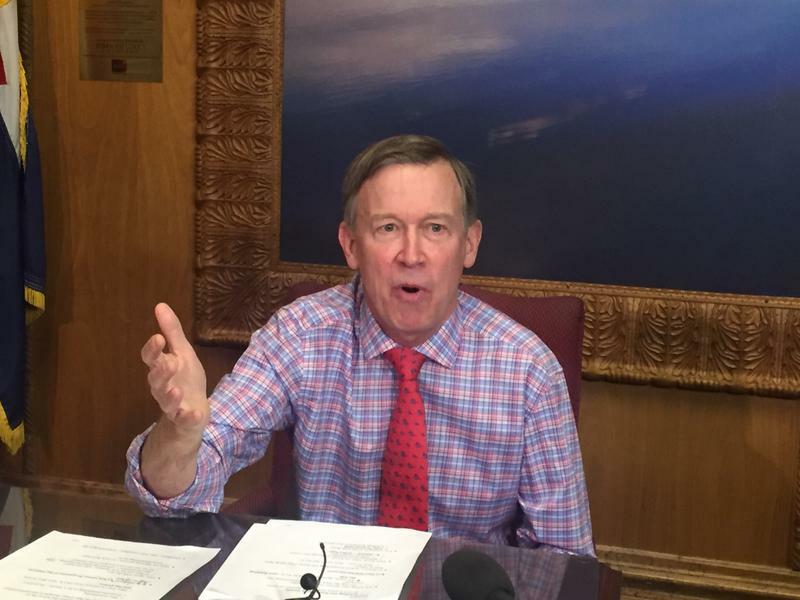 John Hickenlooper will be in Cuba this weekend to try to build up a trading relationship with that country. Gov. John Hickenlooper is entering his second to last legislative session as governor. He said he’s very aware of his time in office being limited, and that colored his discussion on his goals for the upcoming legislative session. Governor John Hickenlooper’s nearly $29 billion budget proposed for the next fiscal year would increase state spending, but also make cuts in key areas. Governor John Hickenlooper has already been front and center this campaign season. Monday was the deadline for groups to turn in signatures for proposals that may go before voters this November. Republicans in the Senate have defeated one of the Governor’s top priorities for the legislative session. A bill to create a public lands day in Colorado is now headed to the Governor’s desk. The measure generated controversy at the legislature but lawmakers ultimately worked on a compromise. Bente Birkeland has more from the state capitol. 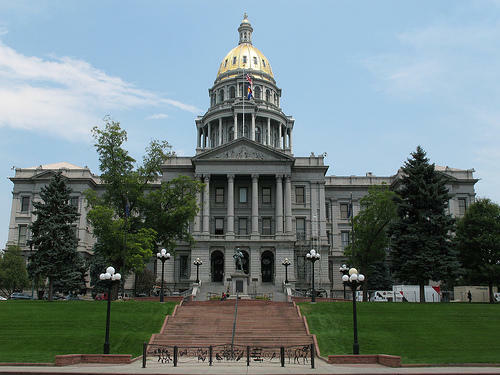 Lawmakers in both parties have unveiled a proposal to bring a presidential primary back to Colorado. It's estimated that conducting a primary will cost anywhere from $5 to $7 million. Despite the price tag, the heads of both the state Democratic and Republican parties and Gov. John Hickenlooper support it. We asked two reporters working at the capitol on a daily basis what that means. Governor John Hickenlooper will be a part of the Aspen High School commencement ceremonies on Saturday afternoon. The governor, a Democrat, will deliver the keynote address at the Benedict Music tent for the Class of 2015. Two former governors, Roy Romer and Bill Owens, joined current Gov. John Hickenlooper at the state capitol to urge lawmakers not to go too far in reducing the numbers of standardized assessments school children take. This comes as legislators are debating several bills to lower the number of exams. Republican Bill Owens said it's important to have standards and test against those standards to see if students are learning what they should, and to evaluate schools and teachers. "Our friends from the left and the right for differing reasons, don't want to test, don't want to measure, don't want to have accountability," said Owens. "This is stunning to me." Good afternoon, welcome to Mountain Edition. 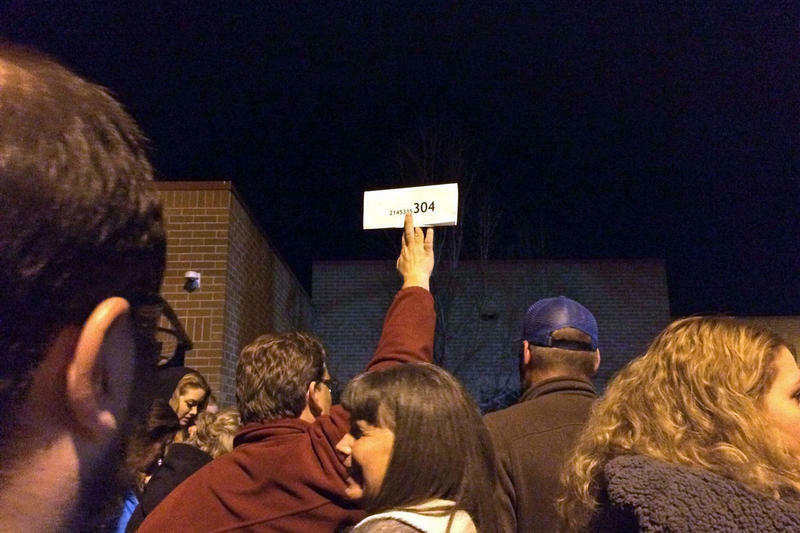 Bus drivers in the Roaring Fork Valley vote to unionize. Aspen law enforcement is violating a no-idling ordinance. A Carbondale man accused of murdering his wife appears in court. An Aspen teenager pleads guilty to pot-related charges. A major employer in Garfield County announces layoffs. High profile fatalities in Garfield County highlight a problem with domestic violence. 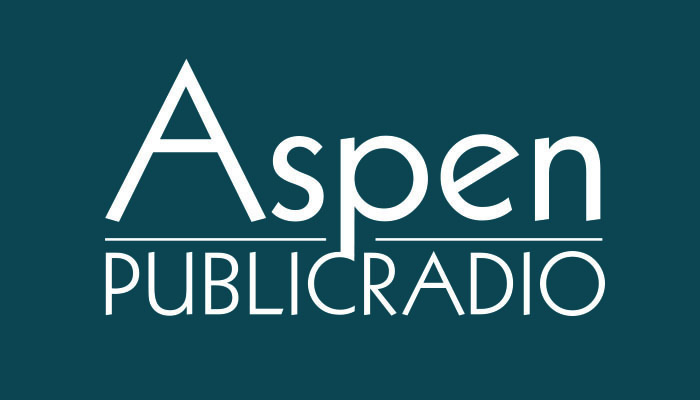 A more detailed avalanche report is out, about the accident that killed a long time Aspen local. Governor John Hickenlooper has given his annual State of the State Address in front of a joint session of the General Assembly. What were some of the highlights of his annual report on Colorado's prospects? What should we expect in the year ahead? We asked some of the reporters that work daily in the capitol building for their thoughts. Governor John Hickenlooper received a warm reception from lawmakers in both parties during his annual State of the State Address. 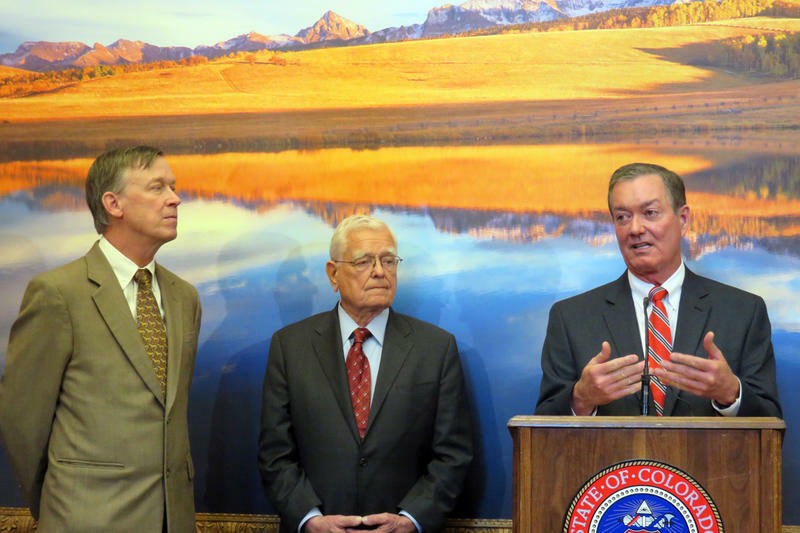 The Governor talked about policies he wants the legislature to adopt, announced a few new initiatives and urged lawmakers to face facts about the challenges facing Colorado. During his roughly 45-minute speech Hickenlooper highlighted many of his budget proposals, such as giving more money to higher education and K-12 schools. He also pledged to look at ways to creatively fund roads and bridges, and threw his support behind a felony DUI law. Colorado is one of four states without one. Tonight Glenwood Springs Council will take an early look at a proposed development at the Glenwood Meadows Shopping Center. It would add nearly two hundred housing units and commercial space to the bustling shopping complex. The new development proposal includes 174 residential units and nearly 6,000 square feet of commercial space as well as amenities like a coffee lounge, business center, and gym. Andrew McGregor oversees Community Development for the City of Glenwood Springs. He says City Council must keep in mind the area has been assessed for mudslides. McGregor says the Meadows has structures in place to help prevent slides. The business and energy of the shopping center, which includes stores like Target and Lowe’s, is one reason McGregor thinks the development will be a good fit.